The Mini Edit launched back in July of this year. 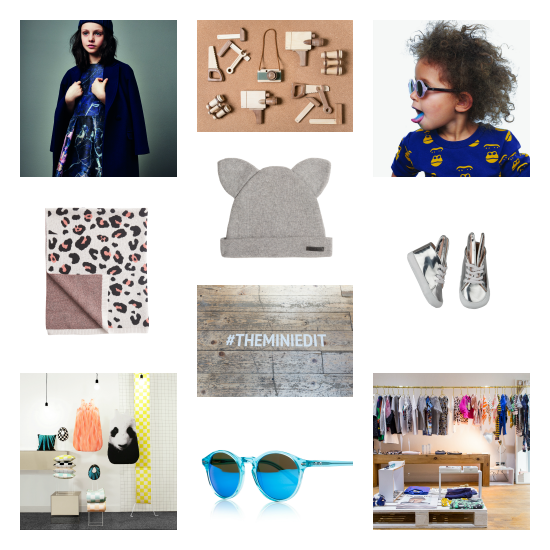 It is an online edit of the best in contemporary kids fashion, toys and gifting. In August they could be found on Beauchamp Place in Knightsbridge with an amazing two week pop up shop, this is where I met Jess and below she has very kindly told us a bit more about The Mini Edit. What inspired you to create The Mini Edit? I’ve been buying kidswear for a few years now and whilst I’ve worked for some incredible businesses over the years, I’ve always fantasised about moving away from the more traditional ‘big’ brands, and curating an edit of gorgeous contemporary products, with a real focus on that fashion loving mamma, who wants gorgeous design, editorial content and a really personal level of customer service. How did you turn your initial idea into reality? We took our time to plan the concept and research the market, but eventually we just had to take the leap and start speaking to brands about our idea. We were incredibly lucky to have the support of some amazing brands relatively early on which meant that all the other elements fell into place more easily. Before The Mini Edit what did you do? I’ve been in buying for quite a few years now, more recently specialising in kidswear at Alex and Alexa and then running the kids and toys department at Selfridges. I’m a big believer in getting hands on experience and absolutely couldn’t have started The Mini Edit without the knowledge I gained from my previous roles. What have been some of your most popular items since launching in July? We’ve been really lucky in that we’ve had a pretty good reaction across the board, but there have definitely been some stand out pieces, the Someday Soon tees and sweats have been incredible and everyone has loved Noe and Zoe for new baby gifts. How do you choose which brands to include in The Mini Edit? Our edit is all about gorgeous individual pieces so we judge each collection on the strength of the products, trying to look beyond strong branding / imagery and really focusing on what the customer will see as they browse the site. If when you’ve stripped away all the marketing blurb and styling of a range, the individual products are still gorgeous and desirable, then they’re in! How would you describe your personal style? Has it had a big influence on choosing items for The Mini Edit? I am absolutely obsessed with a good sweatshirt so that has had a major influence on our edit! The truth is that I love fashion, but I also need to run a business and chase a crazy puppy around London, so always buy into the trends that are wearable. That becomes even more important when selecting for kids; the Mini Edit parents want their kids to look awesome, but they also want them to be kids, which means they are going to roll around on the floor and jump in puddles and need clothes that allow them to do that! What’s been your favourite moment since launching in July? The moment we opened the doors at our launch event and a sea of hot mammas and buggies appeared! You work on something behind the scenes for so long that it is such a huge shock when people actually turn up and like what you’ve done! I can’t begin to explain how incredible the support of our customers has been so far, we’ve made this mini network of awesome, inspirational women who have played a huge part in helping us spread the word and get the concept off the ground.